A sweet soul sent me 6.66!! Today is the start of crytosmiles! Oh so muchly very thx is awesomeness! 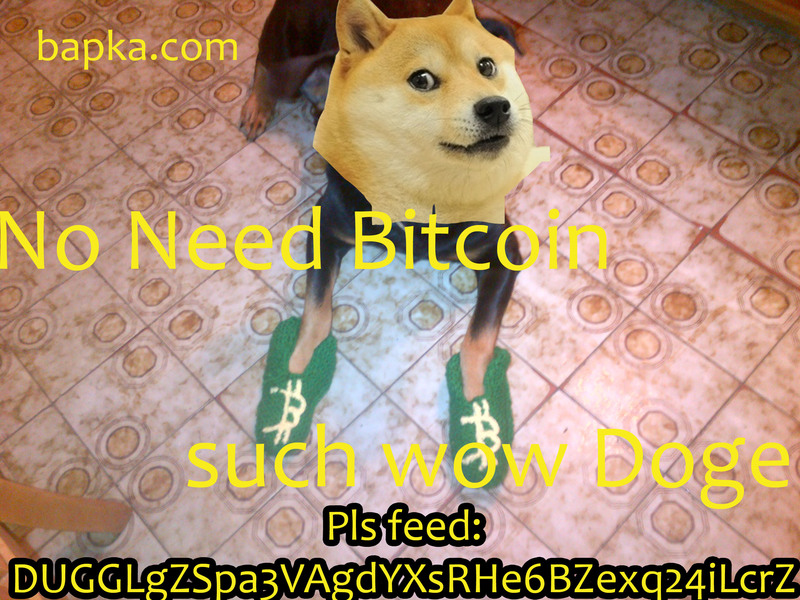 wow so much for 13.37z of DOGE to kthx strangerz! good DOGE iz gud! WOOF! Oh .. I went to pray for the good of dogecoin and surprise! I am looking for someone to sell me DOGECOINS. My buy offer starts at 0.00275 BTC for 50k dogecoins, and I will also definitely consider trade offers of higher amounts. That guy's trying to buy, not sell. I have pretended to be mentally retarded for seven years. 1.5 meelion doge for very .15btc with a free 500k doge! Very Rich, you shall be! Send offers for other! Very nice, will help. 64 meelion in stock. You need. 1,5 million doge for sale 0.14 btc. Pm. Not with that trust rating. Bunch of nuts have a screw loose. PMs are not read, please message individuals directly if needed. Post your address, I'll spread the love.